In July 2015, consultants working at the Royal Free hospital trust in London approached DeepMind, a Google-owned artificial intelligence firm that had no previous experience in healthcare, about developing software based on patient data from the trust. Four months later, the health records of 1.6 million identifiable patients were transferred to servers contracted by Google to process the data on behalf of DeepMind. The basic idea was that the company would create an app, called Streams, to help clinicians manage acute kidney injury (AKI), a serious disease that is linked to 40,000 deaths a year in the UK. Nothing to hide? But you may still have something to fear. When Edward Snowden first revealed the extent of government surveillance of our online lives, the then foreign secretary, William (now Lord) Hague, immediately trotted out the old chestnut: “If you have nothing to hide, then you have nothing to fear.” This prompted replies along the lines of: “Well then, foreign secretary, can we have that photograph of you shaving while naked?”, which made us laugh, perhaps, but rather diverted us from pondering the absurdity of Hague’s remark. Most people have nothing to hide, but that doesn’t give the state the right to see them as fair game for intrusive surveillance. We often hear that our privacy rights have been eroded and secrecy has grown. But that way of framing things obscures what’s really at stake. Privacy hasn’t been eroded. It’s been expropriated. The difference in framing provides new ways to define the problem and consider solutions. In the conventional telling, privacy and secrecy are treated as opposites. In fact, one is a cause and the other is an effect. Exercising our right to privacy leads to choice. We can choose to keep something secret or to share it, but we only have that choice when we first have privacy. Privacy rights confer decision rights. Privacy lets us decide where we want to be on the spectrum between secrecy and transparency in each situation. Secrecy is the effect; privacy is the cause. I suggest that privacy rights have not been eroded, if anything they’ve multiplied. The difference now is how these rights are distributed. Instead of many people having some privacy rights, nearly all the rights have been concentrated in the hands of a few. On the one hand, we have lost the ability to choose what we keep secret, and what we share. On the other, Google, the NSA, and others in the new zone have accumulated privacy rights. How? Most of their rights have come from taking ours without asking. But they also manufactured new rights for themselves, the way a forger might print currency. They assert a right to privacy with respect to their surveillance tactics and then exercise their choice to keep those tactics secret. We need more writing like this. On the phony ‘privacy vs security’ question, for example. As George Lakoff pointed out many years ago (but only right-wingers listened), creative framing is the way to win both arguments and votes. 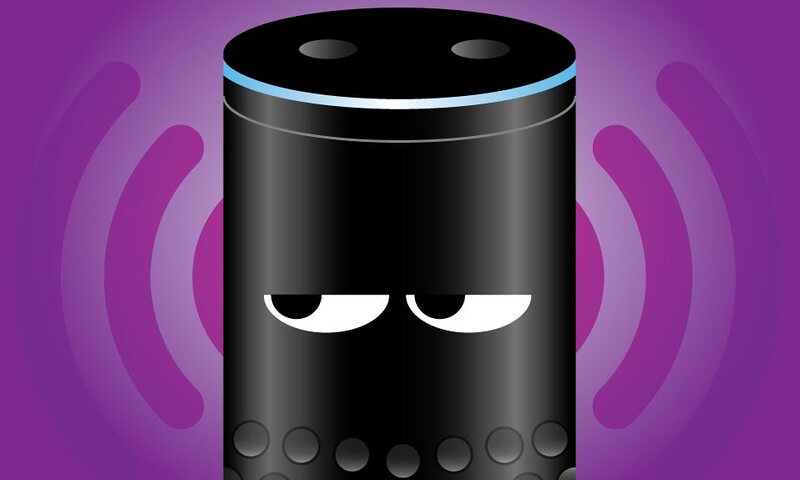 Amazon’s Echo seems great, but what does it hear? I bought it [the Echo] because it seemed to me that it might be a significant product and I have a policy of never writing about kit that I haven’t paid for myself. Having lived with the Echo for a few weeks I can definitely confirm its significance. It is a big deal, which explains why the company invested so much in it. (It’s said that 1,500 people worked on the project for four years, which sounds implausible until you remember that Apple has 800 people working on the iPhone’s camera alone). Amazon’s boss, Jeff Bezos, may not have bet the ranch on it (he has a pretty big ranch, after all) but the product nevertheless represents a significant investment. And the sales so far suggest that it may well pay off. When WhatsApp, the messaging app, launched in 2009, it struck me as one of the most interesting innovations I’d seen in ages – for two reasons. The first was that it seemed beautifully designed from the outset: it was clean, minimalist and efficient; and, secondly, it had a business model that did not depend on advertising. Instead, users got a year free, after which they paid a modest annual subscription. “One easy way to forecast the future is to predict that what rich people have now, middle class people will have in five years, and poor people will have in ten years. It worked for radio, TV, dishwashers, mobile phones, flat screen TV, and many other pieces of technology. driverless cars. Maids? We will soon be able to get housecleaning robots. Personal assistants? That’s Google Now. 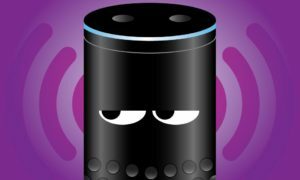 This area will be an intensely competitive environment: Apple already has Siri and Microsoft is hard at work at developing their own digital assistant. And don’t forget IBM’s Watson. Hal Varian, “Beyond Big Data”, NABE Annual Meeting, September 10, 2013, San Francisco. Can I see your phone? No problem, thought the Feds: we’ll just get a court order forcing Apple to write a special version of the operating system that will bypass this security provision and then download it to Farook’s phone. They got the order, but Apple refused point-blank to comply – on several grounds: since computer code is speech, the order violated the first amendment because it would be “compelled speech”; because being obliged to write the code amounted to “forced labour”, it would also violate the fifth amendment; and it was too dangerous because it would create a backdoor that could be exploited by hackers and nation states and potentially put a billion users of Apple devices at risk. The resulting public furore offers a vivid illustration of how attempting a reasoned public debate about encryption is like trying to discuss philosophy using smoke signals. Leaving aside the purely clueless contributions from clowns like Piers Morgan and Donald Trump, and the sanctimonious platitudes from Obama downwards about “no company being above the law”, there is an alarmingly widespread failure to appreciate what is at stake here. We are building a world that is becoming totally dependent on network technology. Since there is no possibility of total security in such a world, then we have to use any tool that offers at least some measure of protection, for both individual citizens and institutions. In that context, strong encryption along the lines of the stuff that Apple and some other companies are building into their products and services is the only game in town. The Apple v FBI standoff continues to generate more heat than light, with both sides putting their case to “the court of public opinion” — which, in this case, is at best premature and at worst daft. Apple has just responded to the court injunction obliging it to help the government unlock the iPhone used by one of the San Bernadino killers with a barrage of legal arguments involving the first and fifth amendments to the US constitution. Because the law in the case is unclear (there seems to be only one recent plausible precedent and that dates from 1977), I can see the argument going all the way to the supreme court. Which is where it properly belongs, because what is at issue is a really big question: how much encryption should private companies (and individuals) be allowed to deploy in a networked world?